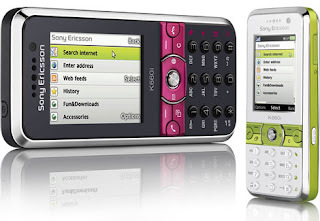 Sony Ericsson has announced the launch of the K660, an HSDPA (mobile broadband) enabled phone with clever features like illuminated shortcut keys that only become active when surfing the Net, and desktop tickers that provide regular updates from your favourite websites; all designed to make Web browsing on the move as simple and convenient as at your computer. The K660 makes browsing the mobile Web straightforward. The phone’s navigation key serves as a "magnetic mouse pointer" when in Web mode, letting you find your way around the page just as you would on a PC. The K660 is engineered to ensure that you’re not kept waiting for the news or content that matters to you. Music, video or email – HSDPA technology lets you download it all at speeds that are up to four times faster than regular 3G. The K660 squeezes a 2.0 megapixel camera into its compact frame, making it easy to capture the moment. And since the Web is at your fingertips, it’s just a few clicks to upload your picture to your blog and share it instantly with friends and family.